We have a few positions available for any amazing folks out there looking to work in a team oriented and fun environment. We are looking for supervisors, customer service, cafe prep and service and party hosts. We have just opened our first inaugural location in Richmond, BC and are looking for exceptional team members to join us. KIDTROPOLIS is an educational entertainment experience that offers an authentic and powerful developmental experience. KIDTROPOLIS provides children, families and caregivers a safe, unique and very realistic educational environment which allows kids to do what comes naturally to them: role-playing! Our target is to provide entertainment experiences in a family focused environment. Our goal is to become an integral part of the community and to cherish our role as a gathering place where fun, laughter and happy memories with friends and family are the primary focus. Please send your resume with cover letter to jobs@kidtropolis.ca. For more information about our centre, please visit us at our Facebook page. With your help as an Ambassador of our company, our goal is to provide exceptional entertainment experiences in a family focused environment. As the Kitchen Manager, you are responsible for the overall operations of the back of the kitchen as well as the front of Munchies Cafe, including fulfilling party food orders. The Manager will hire staff, purchase food and cafe supplies, and make sure everyone is trained on proper food preparation and kitchen safety techniques. 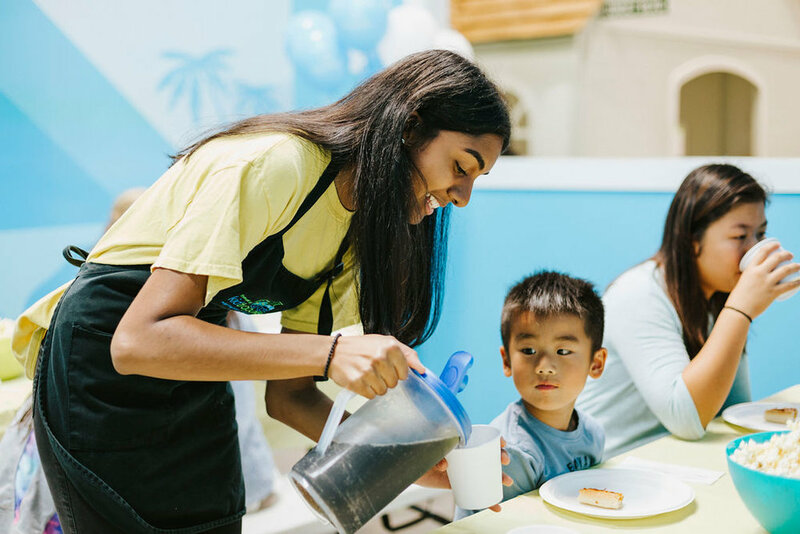 In addition, the Kitchen Manager ensures that The World of Kidtropolis' standard of excellence are consistently upheld: the food looks good and is cooked properly, the proportions are correct, and it is cooked and served in an efficient manner. The Kitchen Manager also ensures that the kitchen is properly cleaned on a regular schedule, food is disposed of properly and the kitchen meets all sanitary standards. The Manager also has to hit the books, by keeping tabs on food cost, waste and employee hours, doing their best to optimize profit and create the best experience possible for customers. Excellent attention to detail: The Manager has to keep tabs on a lot of elements: food standards, costs, efficiency, etc. Leadership: The Manager must be a leader in the kitchen, rallying their team during heavy shifts, resolving conflicts and getting the job done. The Manager is also part of the leadership team and is expected to lead by example – walk the walk. Management skills: The Manager not only deals with food, they also have to deal with costs, pricing, creating work schedules, etc. Organization skills: Work schedules, ordering, deliveries, party food scheduling, maintenance and cleaning schedules are crucial. Problem-solving skills: Dealing with employee conflict, customer requests and incorrect food orders will be part of the job. Being able to come up with a solution quickly is a necessary skill. Customer service: The Manager will have to interact with customers. Being friendly and courteous will help keep families coming back. Communication skills: The Manager needs to accurately and easily communicate standards and cooking methods to staff, give orders and speak with customers clearly. Secondary language an asset. Valid Food Safe Certificate and First Aid Certification necessary.